and fully guaranteed. All signed items are supplied with a lifetime guaranteed letter of authenticity. Bavarian Beatles Store is not authentic we will return your payment. 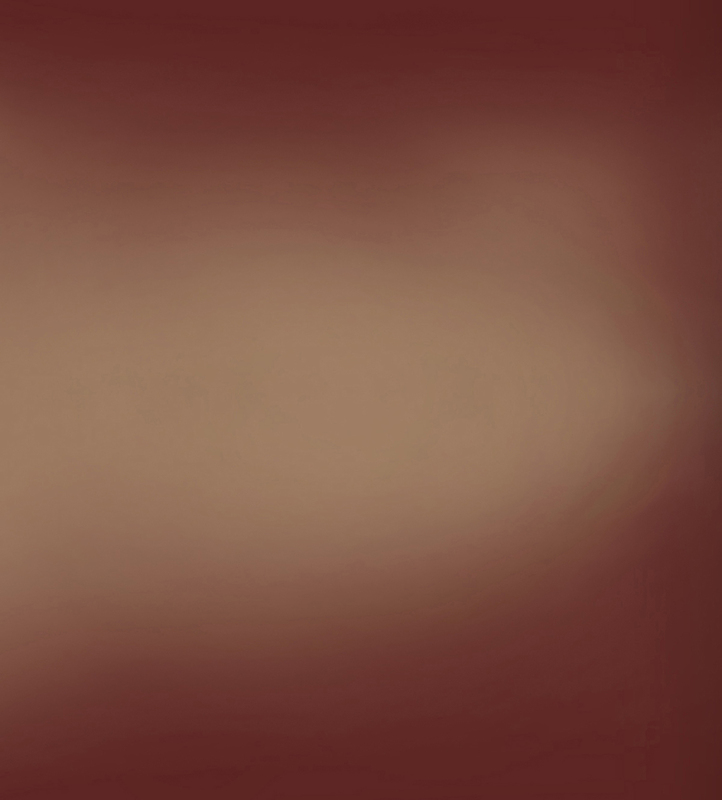 Please click on a photo for a bigger one. For an order please send an e-mail. 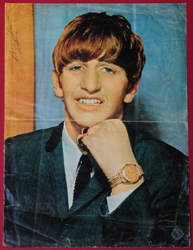 A poster page of Ringo Starr out of a magazine signed by Ringo Starr. Ringo Starr has signed in blue felt tip pen. 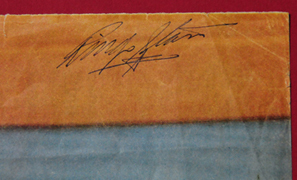 This is a nice signature from the 60's. The measures of this page is 34.5cm x 25.5cm(13.6"inches x 10"inches). Item No. SR 1 Condition: very good(any small tears). Price 400 Euro Price in US$ or GBP upon request. 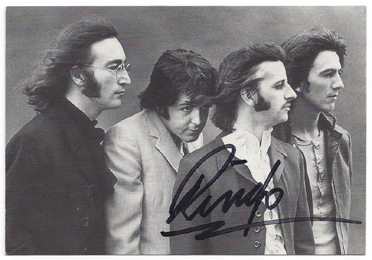 A b/w Post Card of The Beatles signed by Ringo Starr 'Ringo' in black marker. The measures of this b/w Post Card 10cm x 15cm(4"inches x 6"inches). Item No. SR 3 Condition: near mint. Price 300 Euro Price in US$ or GBP upon request. 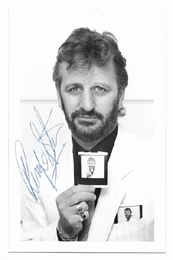 A b/w Promotion Photo card of Ringo Starr signed by Ringo Starr in blue ball point pen. He has signed with his full name. The measures of this b/w promotion card 9cm x 14cm(3.5"inches x 5.5"inches). Item No. SR 4 Condition: near mint. Price 400 Euro Price in US$ or GBP upon request.